ItVoice | Online IT Magazine India » “We often say that IT” is no longer just “Information Technology”, but Intelligent Transformation.”-Mr.Ashish Taneja, Channel Head, India, Data Center Group, Lenovo. 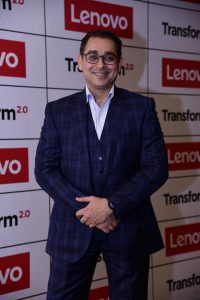 April 22, 2019 9:08 am You are here:Home Interview“We often say that IT” is no longer just “Information Technology”, but Intelligent Transformation.”-Mr.Ashish Taneja, Channel Head, India, Data Center Group, Lenovo. “We often say that IT” is no longer just “Information Technology”, but Intelligent Transformation.”-Mr.Ashish Taneja, Channel Head, India, Data Center Group, Lenovo. Exclusive interview with Mr.Ashish Taneja, Channel Head, India, Data Center Group, Lenovo. Mr.Ashish Taneja, Channel Head, India, Data Center Group, Lenovo. IT Voice:-During the past decade India has emerged as a major growing market in IT space. How do you plan to leverage its growth in coming times? Mr.Ashish Taneja:-India is an important market for Lenovo DCG. According to a recent Cushman & Wakefield report, India was expected to be a US$4.5 billion data center market last year, and is expected to reach US$7 billion by 2020. Coupled with its emerging market status, India presents a huge growth opportunity for us, and is among the 10 countries we have identified from a data centre expansion perspective. In fact, we expect to see US$5-6 billion overall revenue coming from India in the next three years. We want to be one of the top three players in the industry. To achieve this, we recently implemented a three year plan to collaborate with start-ups and government partners to host applications of companies in manufacturing, financial services, academia and healthcare sectors. For example,even though AI is popular in the industry at present, but in India it is only used by companies with deep pockets. Our goal is to help small companies and start-ups to leverage AI and its end-to-end solutions. IT Voice:-Your views on the future of IT networking in context to growing entrepreneurship and Industry 4.0? Mr.Ashish Taneja:-Industry 4.0 incorporates innovative processes and developments combining new technologies such as AI, IoT, and Blockchain. This revolution is changing business models and strategies across industries, and the key to success is having a strategy which will improve efficiency and competitiveness. This is especially the case in India, which has a rich, active and diverse start-up community, containing niche products that cater to the requirements of Industry 4.0. However, many of these companies aren’t well-recognised, which means that companies might not want to take a chance on their solutions. By working with these companies, they will be able to say that they have a recognised partner, which can help them in selling their implementations. IT Voice:-Upcoming Industry disruptors for Indian IT market? Mr.Ashish Taneja:-The hybrid cloud is becoming an important trend as customers are consolidating their cloud infrastructure. The second one would be the trend towards software defined in the Data Center. We are also looking at AI moving from academia and large corporates into businesses withsmaller deals. At Lenovo DCG, we are helping customers with use cases and helping them with starting small and scaling it for the future. Also, IoT has been a disruptor for a couple of years now, but has mostly been restricted to the building and transport industry. This will move towards agriculture, retail—and is going to be happening quickly. This will require heavy computing at the edge,which will need an ecosystem around it to build a stronger infrastructure. All these trends will need a blanket of security updating as the IT infrastructure becomes more sophisticated. IT Voice:-Can you tell us something about your marketing strategies and service networks? Mr.Ashish Taneja:-We are a channel-first company hence we constantly innovate to create best-of-breed programmes and tools to empower our channel partners to do business with ease. Our channel strategy is designed for partners to grow with us through co-marketing, co-selling, and enablement.Lenovo DCG’s self-service digital marketing tool, Digital Campaign Studio “The Power of Zero”, offers our channel partners access to solutions campaigns and co-marketing assets for their marketing efforts on our single platform Lenovo Partner Portal (LPP), in turn enhancing operational efficiency. We will also be launching a new tool within few months called Lenovo Bid Portal, an enhanced tool that will contain useful pricing, quotations and deal registration information all on a single platform. We help partners choose the market and segment they want to enter and focus on. We take the entire portfolio and look into the specializations of the partner. This makes the selection process strategic. For example, they can either go for software defined infrastructure or could be very specific on AI. IT Voice:-With technologies like IoT and Blockchain gaining huge momentum after cloud, how do you think data centers will be impacted? Mr.Ashish Taneja:-Emerging technologies such as IoT and blockchain are definitely game changers for the data center industry, as they boost global economies, improve public utilities, and increase efficiencies. According to a recent Assocham-EY report, India’s IoT market has the potential to unlock US$11.1 billion of revenue by 2022, as the country emerges to become a US$1 trillion digital economy. This is helped by the Digital India initiative, as the government plans to leverage IoT. With a budget of Rs. 7000 crores, they plan to develop 100 smart cities, conserve water and power, as well as improving healthcare, transportation, and security. Taking up these opportunities, many companies are investing in IoT as it is the next big thing. We here at Lenovo look forward to embracing this change and do good for our partners, customers, by focusing on improving our servers in IoT solutions to enhance connectivity and build edge platforms that can analyze data for real time decision making. IT Voice:-What are your growth drivers in today’s fast-changing technology domain? Mr.Ashish Taneja:-As new trends like software-defined and HCI emerge, we are well positioned to help customers embrace them efficiently and promptly. We are experimenting with AI and machine learning capabilities with hyper converged solutions to expand the technological opportunities and discovering new storage models. We also collaborate with Nutanix on R&D and products. In addition, together with Nutanix we have launched a new hyper converged, software-ready product offering specifically for enterprise customers called Lenovo ThinkAgile HX Certified Nodes. At Lenovo, we often say that IT” is no longer just “Information Technology”, but Intelligent Transformation—a transformation driven by AI and underpinned by three key building blocks: data, computing power, and algorithms.And thanks to our focus on Intelligent Transformation, we are now entering a new phase of growth, solidifying our position as the undisputed leader in the region. For example, we are now the #1 supercomputer company in the world and continue to be #1 in customer satisfaction for servers and server reliability. Our recent NetApp partnership has further helped us expand our storage portfolio, giving us 93% reach in the market compared to 15% previously. IT Voice:-As a Channel Head, what have been your major achievements in IT sector? 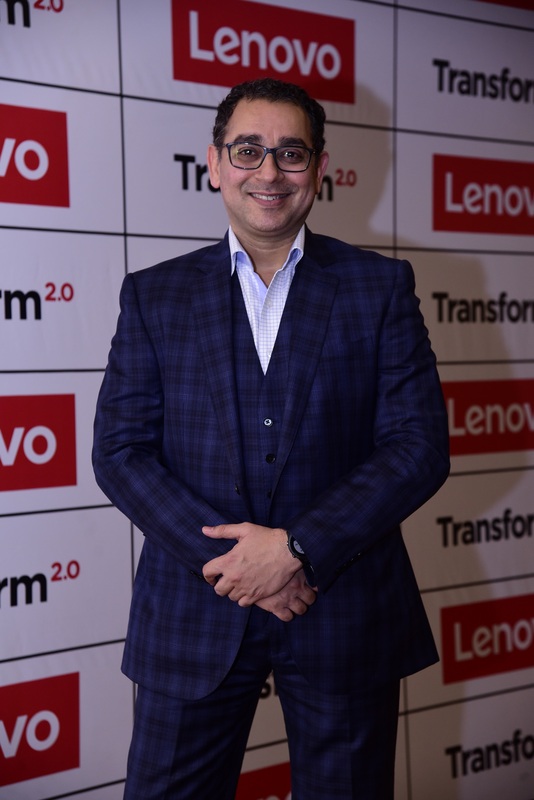 Mr.Ashish Taneja:-Having joined Lenovo in mid-2018, myprimary responsibility has been driving the company’s channel strategyand strengtheningthe existing partner ecosystem across the country.During this time, we have invested in our team, which has in turn driven business growth. This “people-first” mentality has enabled us to work closely with our partners, distributors and system integrators to accelerate the adoption of Lenovo DCG innovations and drive relevance for our channel ecosystem. Additionally, we have a new go-to-market (GTM) for Volume and Value businesses, as well as local programs for both businesses. IT Voice:-According to you, how big of an entity has ‘Data’ become in modern enterprise space? Mr.Ashish Taneja:-Data is not the new kid around the block anymore, but it is one of the most important commodities today. In today’s digital world, it is imperative for enterprises to understand how they can utilize the huge amount of data that is generated every day. This comes with its own set of challenges: to mine, analyse and utilize the relevant data to achieve better business results. Enterprises today are spending on extracting the relevant data through business intelligence and analytics solutions. According to Gartner, Indian organizations are moving from traditional enterprise reporting to strategic, modern and architecture-centric data and analytics programs. However, the success of a business is also often directly related to the effectiveness of its people. At Lenovo, we start by understanding our customer’s strategic objectives, so we can align our service outcomes to them. Things like productivity, agility, attracting talent, and of course reducing risk are all usually high on the list at a corporate strategy level.